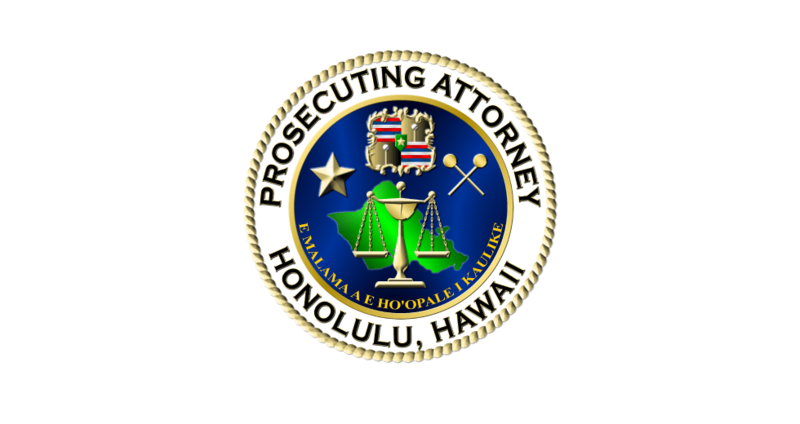 The Honolulu Prosecutor’s Office was one of 10 applicants nationwide announced today by the U.S. Department of Justice’s Bureau of Justice Assistance, in partnership with the Center for Court Innovation, as a 2016 Community Court Grant Program winner. Honolulu Community Outreach Court will receive $200,000, as well as technical assistance from the Center for Court Innovation to implement a community court serving the City and County of Honolulu. The State Legislature also is considering an appropriations request of $612,610 to support the court. The selected community court sites were announced at the Community Justice 2016 International Summit in Chicago. More than 70 applications were received. Honolulu Community Outreach Court – the product of collaboration between Prosecuting Attorney Keith Kaneshiro, Deputy Chief District Court Judge Barbara Richardson and Public Defender Jack Tonaki – seeks to quickly resolve low-level, non-violent cases involving defendants who fail to appear at hearings. Many of these offenders are homeless and have substance abuse or mental health issues that have contributed to repeated non-compliance. The goal is to help them resolve their legal problems without fines or incarceration while also maintaining accountability and respect for the law. Honolulu Community Court will be mobile so it can be brought to offenders at sites across Oahu. Defendants who agree to plea deals will be offered alternative sentences such as community service or enrollment in court-ordered treatment. This will “give the justice system more meaningful options when handling non-violent offenses, as well as offer assistance to non-violent offenders who face a myriad of problems such as mental health, poverty and homelessness,” Kaneshiro and Judge Richardson said in a statement.